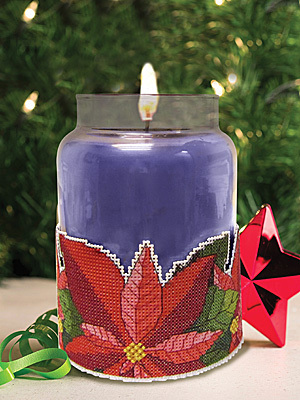 Add a bit of charm to your candle with our corset. 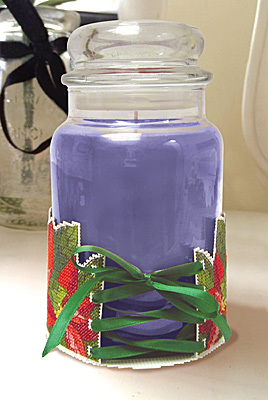 The ribbon tie in the back adjusts the corset so it will fit most large round candle jars. Each kit includes 14-count plastic canvas, 6-strand cotton floss, ribbon, needle, chart and instructions. Finished size is 10.875" x 2.5"